HAMSWAN: Virtual Reality market is full of many VR headsets of different range. Till now you are aware of only a few of them like Samsung Gear, Oculus Go, Microsoft VR. However, there are many others who are equipped with lots of exciting features. The reason why you know only about a few virtual reality headsets can be the popularity of these companies or they make headlines. Many other companies are available who manufactures good quality products but are not so popular. However, the buyers who purchase these products are completely satisfied with the performance. These VR headsets are available at a cheap price tag and let you experience the most of the virtual reality world. Earlier, we have introduced many VR headsets which you can check. Today, we are here with another VR headset which comes at an affordable price tag. We are talking about HAMSWAN 3D VR goggles which are exclusively available in Amazon. If you own a smartphone, then you must have a VR. Playing games in a smartphone are now outdated. The experience of playing action games in VR is just amazing. If you love playing games, then you must try the VR experience. HAMSWAN 3D VR supports almost all smartphones. It is integrated with many latest features which will give a splendid journey of VR world. I’m sure that you must be excited to know the features of the affordable VR. If you have any queries relating to our articles or products, then feel free to contact Gadgetsay Forum. So, without wasting time, let’s begin the HAMSWAN Virtual Reality Headset Full Review With Pros And Cons. 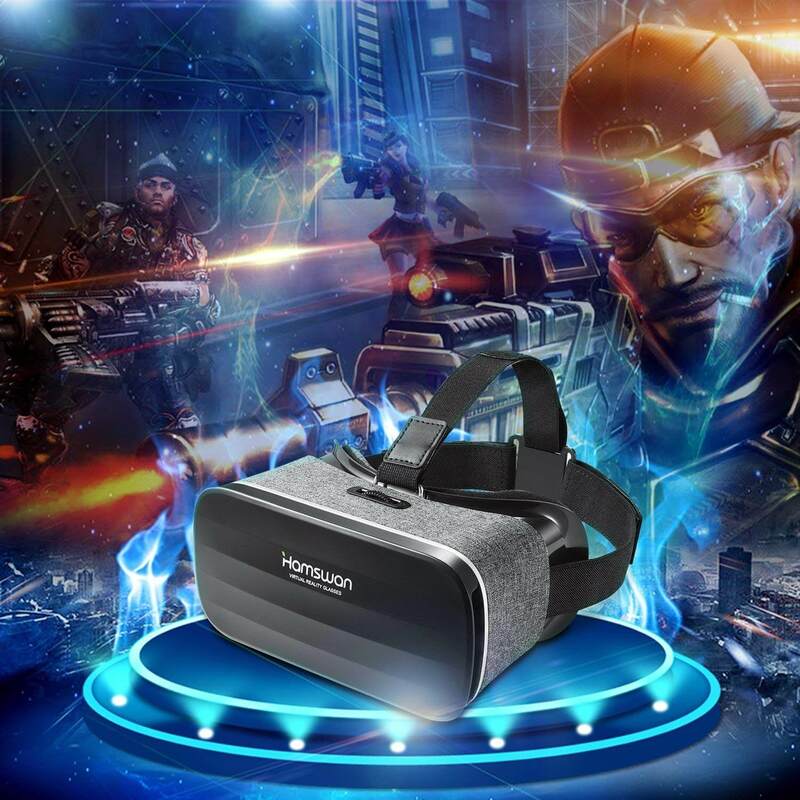 HAMSWAN SC-Y005 VR headset offers 3D viewing experience. The device is developed in a lightweight platform. The exterior of the device is made of good quality material. It comes with a great fabric design which is lightweight and comfortable. It has good ventilation which doesn’t allow heat inside the device. You can wear it for long duration and play active games from apps. The detachable front cover allows heat dissipation which doesn’t suffocate you. In the interior, the device has soft cushion padding which makes you comfortable while using the device. The company has offered great interior space in the nose section that doesn’t give pressure on your face and eyes. The overall experience of the device is good, but don’t expect it you offer all the features which are available with high-end virtual reality devices like Samsung Gear. However, at such a cheap price, the features and comfortable design is worth it. It is extremely good if you want your first VR goggles. It also supports app stores and cardboard games. Visually, the device offers amazing exposure to panoramic view and high definition images. It is composed of ABS and non-woven material. It is equipped with adjustable nylon straps and 42mm aspheric optical resin lens. On the front, it has a detachable cover which lets you place your smartphone. Inside the detachable cover, you can see an elastic band which holds the phone properly. 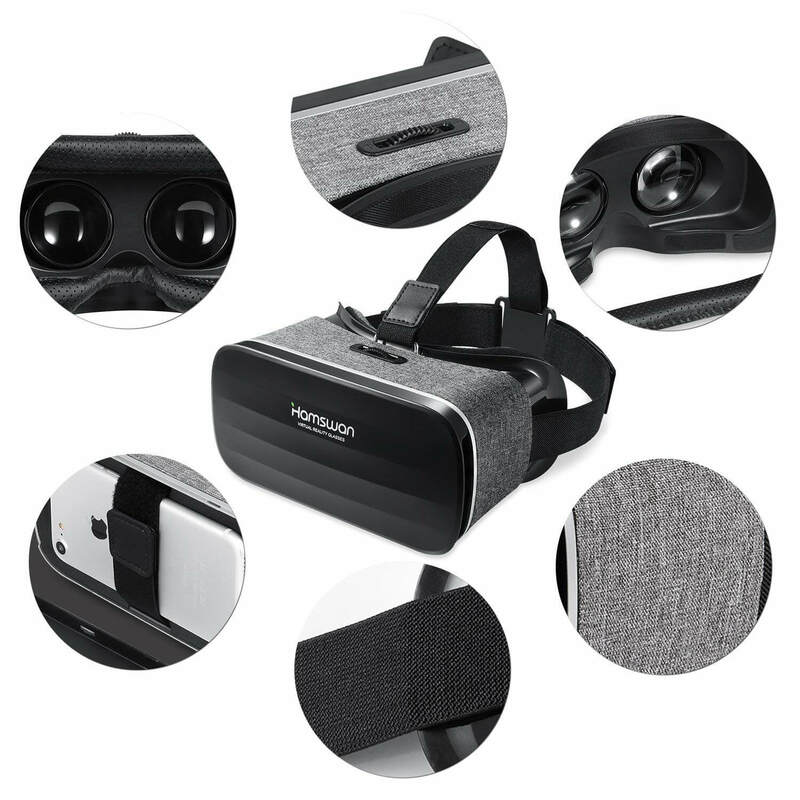 The HAMSWAN VR goggles feature panoramic view and high-quality 3D images. It is integrated with adjustable pupil distance which you can control using a button present on the top of the device. The controls are easy to operate. It features anti-distortion and aspheric optical resin lens which don’t harm your eyes. The device weighs only 238g which eliminate pressure on your head and face. The features make you feel like you are watching full HD 1050 inch in a distance of 3m with the visual angle within 90 and 100 degrees. Overall, the device is feature-packed that makes your VR experience to the next level. The VR is compatible with a wide range of smartphones. You can use it in almost all smartphones below 6.0 inch of screen size. You can download the games directly using the internet via Google play store and Apple store. Place the smartphone accurately to enjoy clear viewing. So, this was the HAMSWAN Virtual Reality Headset Full Review With Pros And Cons. This Virtual Reality headset is good for all the beginners in the VR world. 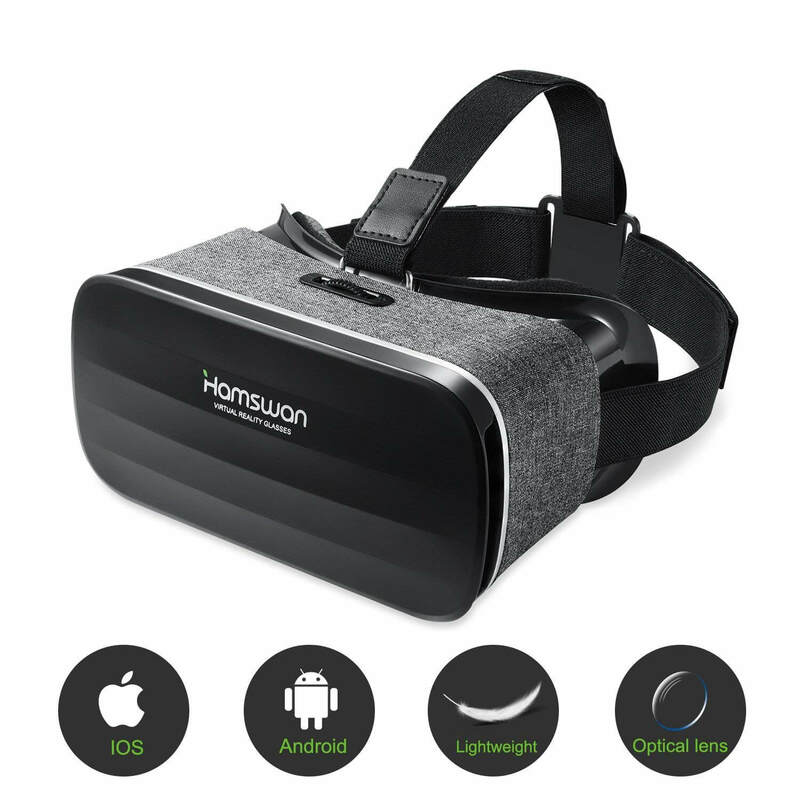 If you are interested in buying the HAMSWAN 3D VR, then click on the Button given above to buy from Amazon. 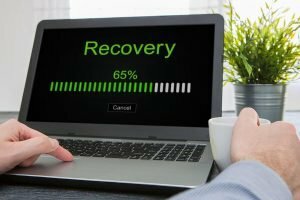 I hope you liked this article and will have a great experience with your purchase. You can also share this article with your friends and families so that they can also enjoy the great VR experience.